The UEFA Euro 2012 Soccer fever is here again. It has just started to kick off a couple days ago and I am beginning to have a big headache about food. In Malaysia, one can watch the UEFA Euro 2012 Soccer match live on air between 12am to 4am in the wee hours of the morning where everyone is supposed to be sleeping.Hence, the guys at home are willingly to sacrifice their beauty sleep for the sake of their soccer obsession like any young, middle age and old men around the world. As you may have guessed, when the soccer fan eyes are fixed at the soccer ball movements, hunger pangs occur since all the dinner food had been digested hours ago. These guys couldn't order home delivery food because all the fast food restaurant and eatery outlets are close after 10pm. Worst of all, they couldn't leave their seats except the urge to use the toilet to release their pee. So, I had to prepare some nutritious food for them rather than letting the guys indulge themselves into unhealthy snacks and beers. The best thing about the guys are that they are not picky eaters and voluntarily wash up the dirty plates after the soccer match ends. The guys absolutely love to eat fried beehoon. Besides nasi lemak, the top favorite local dish among Malaysians, rice vermicelli also locally known as "beehoon" or "bihun", is a big hit in the food court, hawker stalls and at home too. We love plain or Tom Yam fried beehoon because it is quick and easy to cook, delicious when mix with sambal paste or chilli sauce and healthy too, if you compare it to yellow noodles. 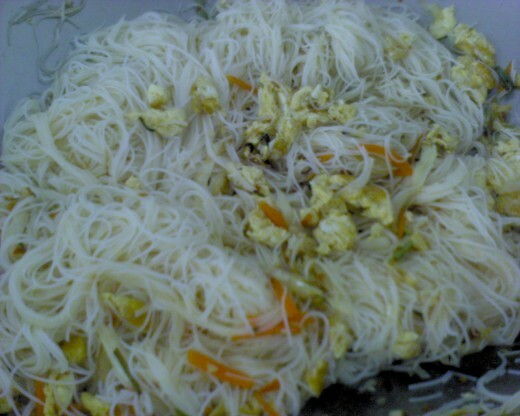 Rice vermicelli are thin white noodles made from rice and a form of rice noodles. They are sometimes called as rice noodles or rice sticks in different countries. 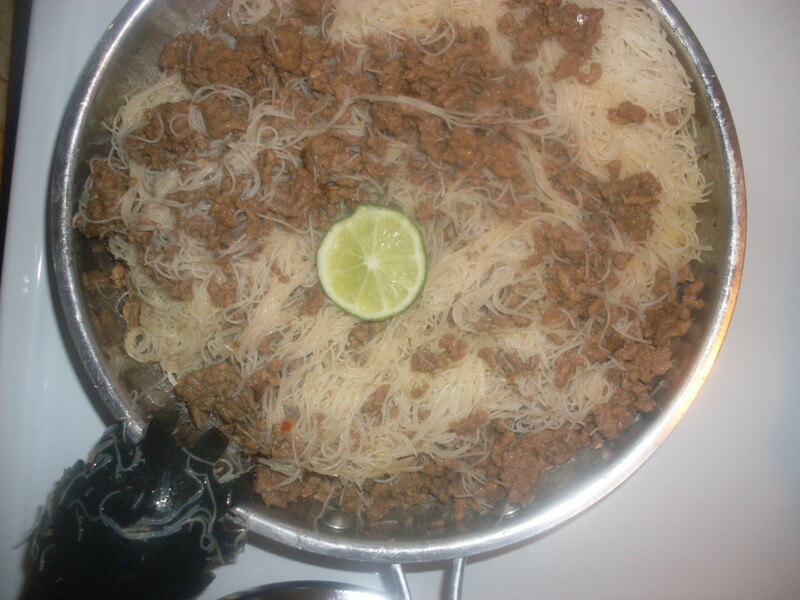 Rice vermicelli are usually sold in a big packet which could yield at least 6 to 8 people at a cheap price ranging from $2 to $4, depending on the brands. They are dry form of noodles that you can stored up to several months. 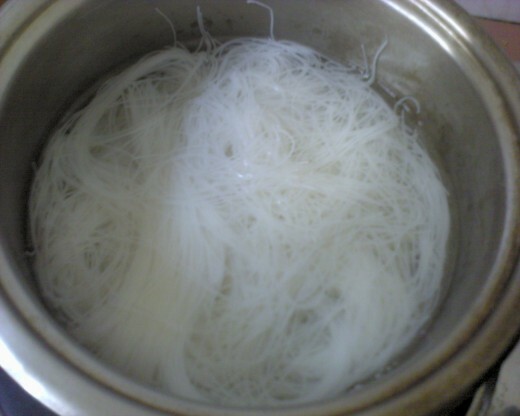 Rice vermicelli are often consume as a soup dish, stir fried or with thick gravy pour on top. 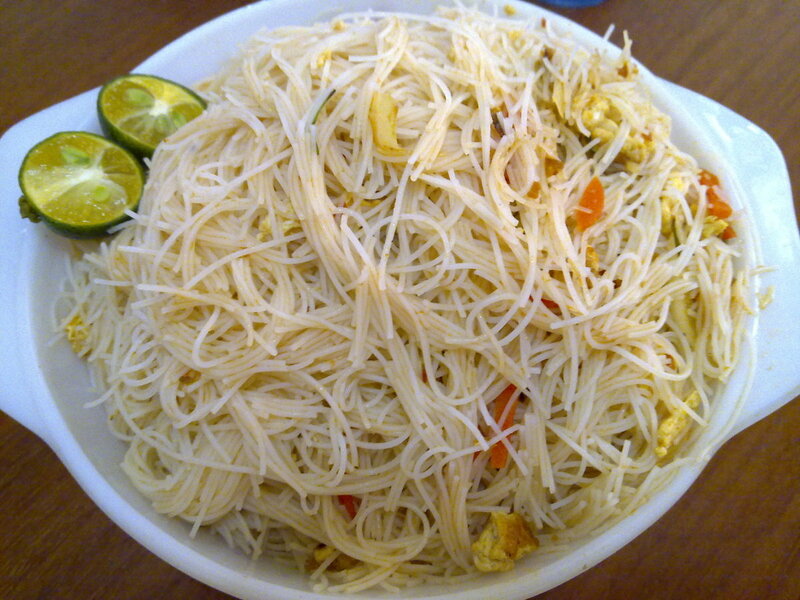 Plain beehoon is similar to plain white rice except that plain beehoon has its own soy sauce taste. You can choose various of side dishes to go along with this dish such as stir fry vegetables, fried pork meat, bull eye eggs and fish cakes. I love to spice up my plain beehoon with additional sambal and sometimes chilli sauce. Today, I self modified my plain beehoon with mixture of Tom yam paste and other vegetable ingredients that I could find in my refrigerator. I love the spiciness and tanginess of Tom Yam taste which blends well with strips of carrots, cabbage and any kind of seafood. The advantage of Tom Yam beehoon are, this dish is easy and quick to cook, half of the packet could yield at least 4 people and it can last the whole day without turning stale if you can't finish the beehoon at one mealtime. Just heat up the Tom Yam beehoon and savour the tasty meal at any time of the day. Strain the pre-soak beehoon into a colander. When the water starts to form some bubbles, transfer the beehoon into the pot. Let it boil under small fire. When the beehoon turn soft, turn the heat off. 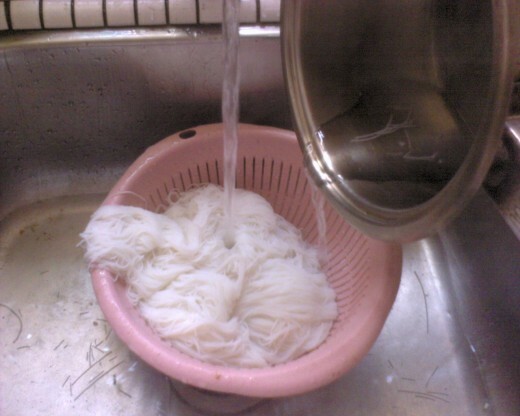 Pour the cooked beehoon into the colander under the running tap water to cool off the hot beehoon. This is to ensure the beehoon doesn't stick to each other. Drain the water and keep the beehoon aside. 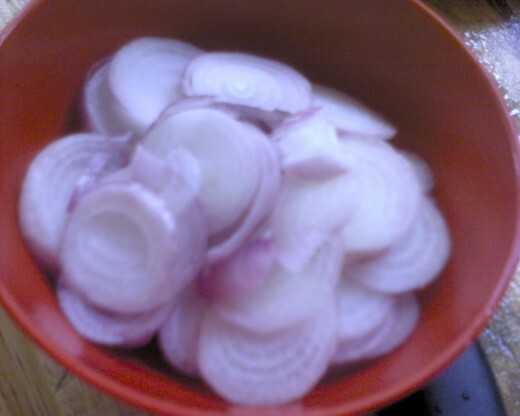 • Heat oil and fry the sliced shallots until crispy and golden brown. • Scoop up the fried shallots and press out the excess oil with the spatula. • Keep aside for later use. Remove 1/2 of the remaining oil. Stir fry chopped garlic, chives , cabbage, carrot under small fire. When the vegetables are almost cooked, move the vegetables to the side of the wok. 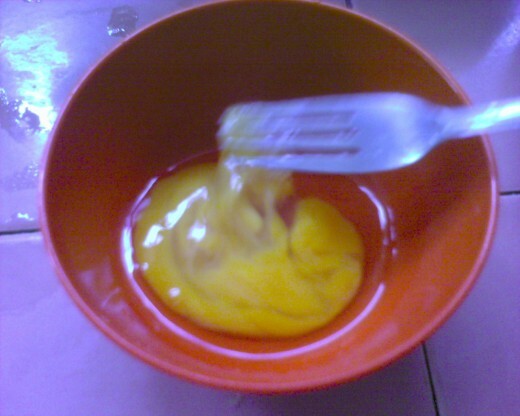 Pour in the beaten egg into the wok. Scramble the beaten egg. 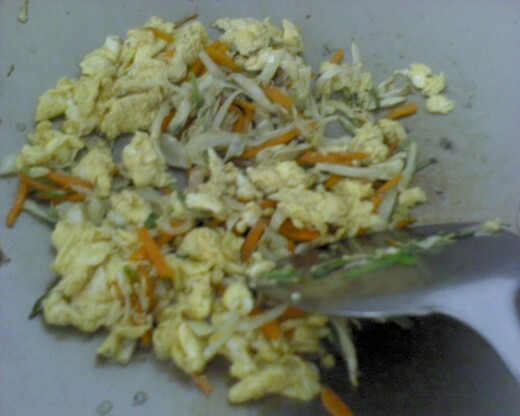 Mix the egg and vegetables together. 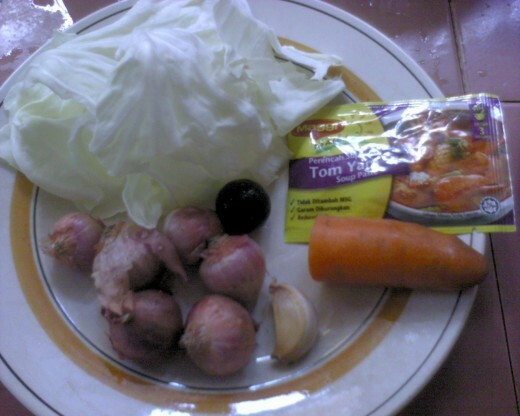 Add in 2 sachets of Tom Yam paste, 1/2 tsp of sugar, 1/4 tsp of salt and a few dash of pepper. Stir a couple of minutes. Do not burn the paste. Quickly add in the pre-boiled beehoon. 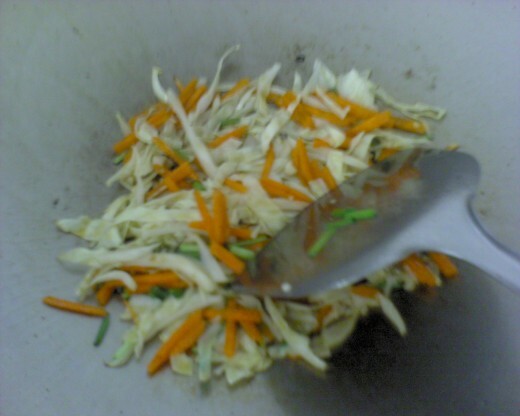 Stir fry quickly so that the paste is well combine with the beehoon. If the beehoon are too dry, add 1/2 bowl of warm water and keep stir fry until the Tom Yam paste covers all over the bihun. Fry until beehoon are almost dry. Turn off heat and transfer fried beehoon to plates to finish them off! Add lime if you prefer the sour taste. This is the most simple and delicious Western dish, fried eggs with bacon and sausage made from chicken or pork. A great dish to satisfy one's appetite. Maggie mee is also known as instant noodles in Western countries. 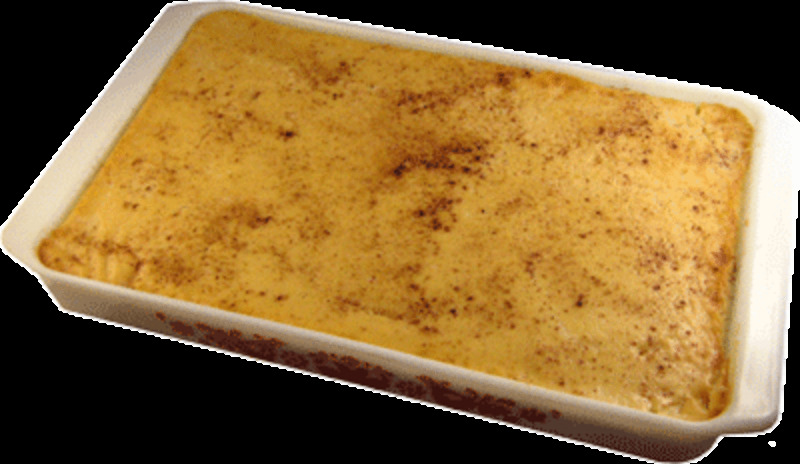 It is easy to cook and a flexible dish that matches with all sorts of ingredients that you can find in your refrigerator. This looks so delicious, I wish i could taste it. Thanks for sharing. Voted Up and awesome. Thanks for reading. 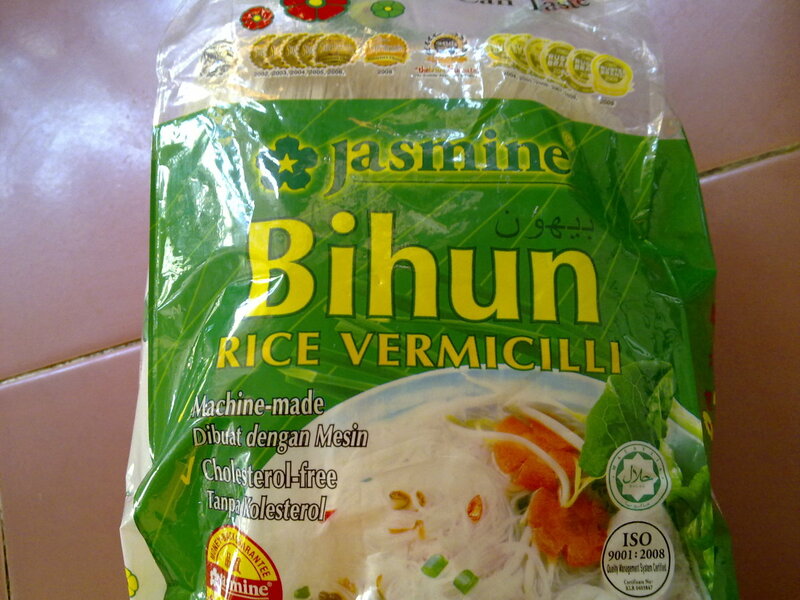 You eat bihun as a sandwich? How odd....a snack, you mean? Yummy! I love bihon. 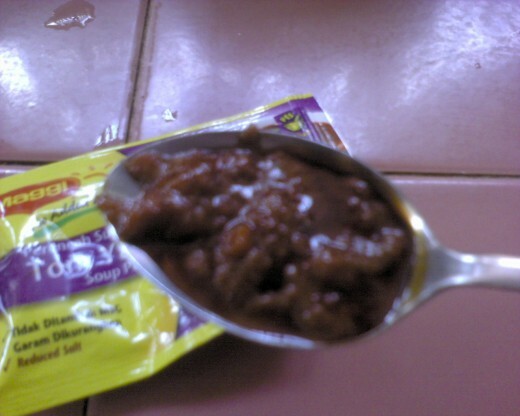 That´s the name of this noodle in the Philippines. When there´s leftover, I eat this fried bihon as a sandwich. Now I´m hungry for this food;-) Thanks for sharing. Thanks for reading my Tom Yam recipe. I do hope that you will like the spicy sour taste. BTW, thanks for your vote. Much appreciated. Oh my, this sounds right up my alley - I love rice and pasta dishes, as well as shallots and garlic. 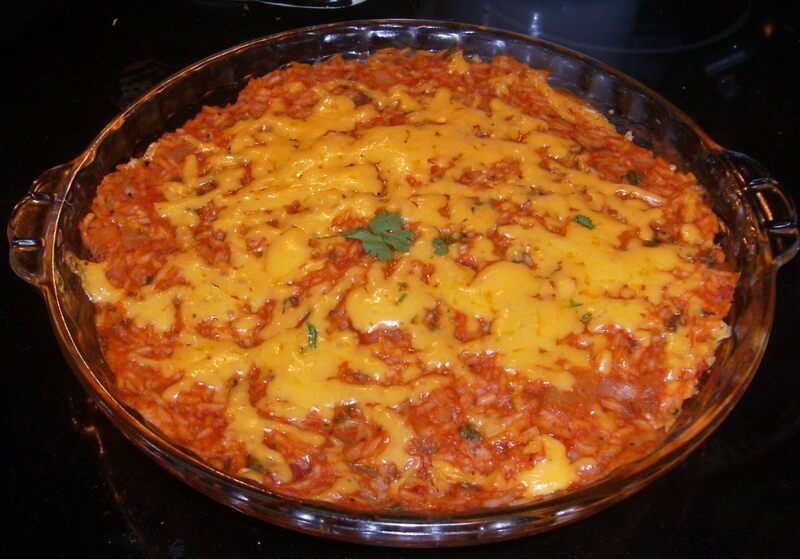 This dish also looks easy to prepare so I'll definitely have to give it a try! I also love your photos. Thanks much for posting. Do try. It is really simple and the tom yam taste blends well with the beehoon. Bet you r gonna like it! This looks interesting! I like simple foods and noodles are often times on our dinner table because it's easy to prepare. 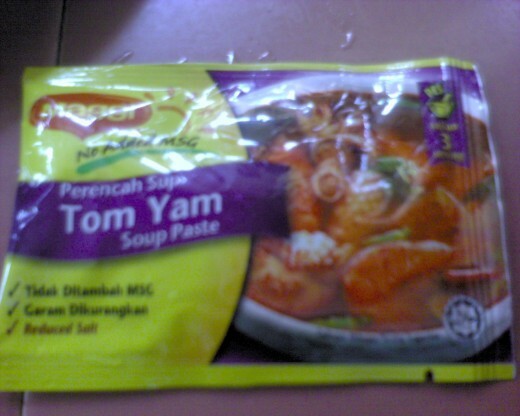 And, since I love Tom Yam too, I'd surely try this. Thanks for sharing!